GNOME 3, the latest stable version of GNOME Desktop, has released with a lot of changes and improvements. 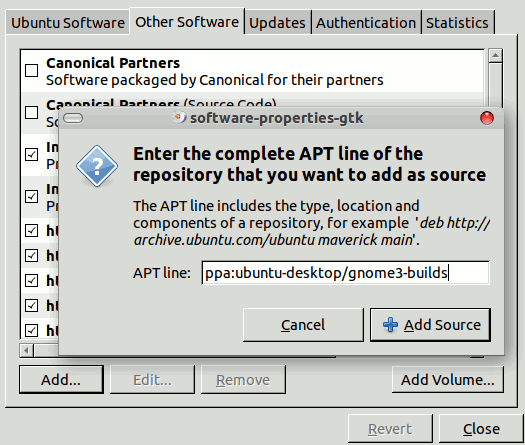 Ubuntu 11.04 has shifted to another default desktop (developed by Canonical, although gnome is installed, and you can select it, in the login window), while 10.10 (Maverick Meerkat) and 10.04(Lucid Lynx) has gnome by default. GNOME 3 has completely different look and feel than its predecessor version 2.32. GNOME is the most popular desktop, used by most of the popular Linux Distributions – like Ubuntu, Fedora, Debian etc. GNOME also provides some basic applications and utilities. GNOME 3 has been developed from the scratch, so you can expect a lot of features and functionality in the completely new environment. Due to some innovative features and look, it claims to be ‘The Next Generation Desktop’. On Ubuntu 10.04 or 10.10 , you can either install it from the command line or synaptic package manager, but be careful before installing it, be ready with a backup (because a lot of people has reported some problems, related to gnome 3 / Ubuntu). You can also download the *.ISO archive from the Gnome’s official website and install it, but officially it says only for Fedora and Open Suse, but I think , the package available for Fedora, might work with Ubuntu. #1 : Open synaptic package manager and add the PPA (Settings -> Repositories -> Other Softwares, then add the PPA given below ) for GNOME 3. #2 : Then, update the repository packages (using Reload button). #3 : Now search for gnome 3 package and install it. This does not work with Lucid 10.04 as the software repository for Lucid (referenced above) does not exist. Nope, doesn’t work for me. Thanks Martijn, it works here to!